Also available to purchase on Amazon and most other reputable online sites plus most eBook sites including Apple which may be cheaper for international orders from outside of Australia. What does it take to be a great EA? No doubt we all feel like we have witnessed some amazing EAs or worked with some amazing EAs, but what is the essence of what they do that actually makes them amazing? What specifically is it that they do that differentiates them from other EAs? That isn’t an easy question to answer for a multitude of reasons. Part of the problem is knowing the framework to identify what being a great EA even means. Because to one person that will be very different from another, especially to one executive or another. For example, one executive might see an EA as being truly amazing, and yet another more progressive executive, working with the same EA, could find them decidedly average. Executive perceptions, and beyond that, organisational and broader management perceptions, are really huge issues because every executive has their own idea of what they want from their EA. And as if that wasn’t problem enough, beyond perceptions, and into the realms of actual role responsibilities and even purpose, the lack of real understanding within organisations around these is often challenging. And herein lies the crux of what led to this book being written. The ignorance and misunderstanding within many organisations about what EAs actually do is really quite astonishing. As for a clear, collective vision within organisations for what they should be doing, well that is often totally lacking or, if a vision does exist, it often tends to have been created as part of some project of rationalisation or through a role shifting program, usually by people who never truly understood the role in the first place. To date I have never walked into an organisation and witnessed a document that adequately reflects what the EAs do and are supposed to do. Not at the broader organisation level, and certainly not at the specific level between EAs and their own individual executives, where you would expect position descriptions and even performance measurement and review documents to be a lot more accurate. Every single EA and executive relationship operates differently. They all have their own boundaries and their own idiosyncratic ways of working. But most of these evolve organically as they discover for themselves what it is they want and what works, rather than ever having been fully conceptualised and planned out. And even once they have evolved to the place where the partnership is working, the essence of why is never usually written down and captured. A great many books have been written about what it takes to be a great EA, but all from the perspective solely of the EA. Few have ever really addressed the broader organisational issues and the specific executive issues. 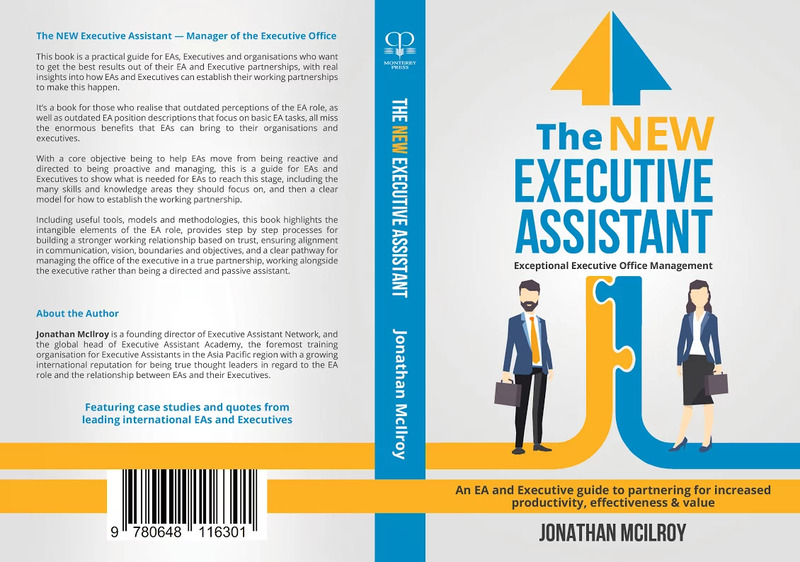 The role of the EA exists to facilitate executives being their most productive and effective and to help them deliver the best possible results for their organisations. So with that in mind, this book was written with the acceptance that there is no point just addressing EA skills, knowledge, abilities and business acumen, the nuances of time management and diary management, or even software usage, as so many books do, if it didn’t first address what it might even mean to be a great EA, and to provide some framework for organisations to really conceptualise and then document what they truly want their EAs to do. And from there, and for the EA’s perspective, to then outline what is possible in the role, what some of those EAs who are truly working alongside their executives in real partnerships are actually doing, how they are managing their executive’s offices, and to outline the great many areas where they can seek to add the most value to their executives, their teams and broader organisations every single day. This book is a truly practical guide for EAs, executives and their organisations that seeks first to help build better vision and understanding around role purpose, responsibilities, structure and framework, before providing clear guidance to all parties on how to work best together. And for that reason I believe most EAs and their organisations will find it invaluable. Since its launch in 2018 this book has already been read not only by EAs, but also by senior executives, all across the globe, and it is having a major impact on how executives and senior management teams are thinking and operating. Make sure you order you copy today. Don’t hesitate, order now and be one of the first in the world to receive your copy. The first print run of books is almost completely sold out as demand has been incredibly high. For bulk corporate or private order enquiries, please email Jonathan McIlroy at jonathan@executiveassistant.com with the details and he will contact you soon to discuss options and costs. Also available to purchase on Amazon and most other reputable online sites plus most eBook sites including Apple. 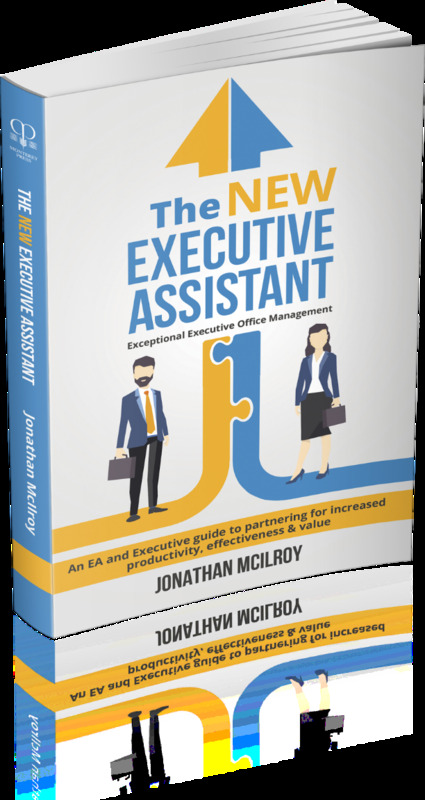 Jonathan McIlroy is a founding director of Executive Assistant Network, and the global head of Executive Assistant Academy, the foremost training organisation for Executive Assistants in the Asia Pacific region with a growing international reputation for being true thought leaders in regard to the EA role and the relationship between EAs and their Executives.